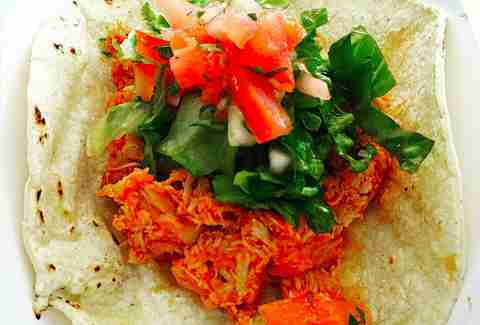 A favorite of the college crowd -- as evidenced by the endlessly long wait during lunch time -- Cucina Zapata specializes in Mexican/Asian fusion, offering dishes like chicken satay and Thai short tacos. 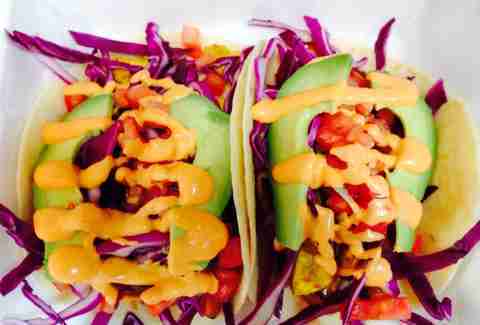 One of the more creative, and most popular dishes, is the Cap’n Crunch Tilapia Tacos. Owner Robert Zapata takes the roof-of-your-mouth-cutting cereal and uses it to bread tilapia, which is fried and served along with cabbage, lettuce, tomatoes, and a spicy sriracha mayo. 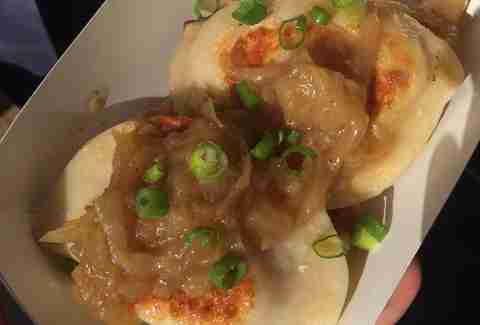 Pierogies should be more popular than they are -- they are cheap, filling, and Mom-Mom’s, the tiny food cart that could, serves both traditional potato cheddar ones, plus a rotating list of more non-traditional options, like sweet potato with brown butter sauce. Polish food in general should get more props, so take advantage of any opportunity you can to try some at Mom-Mom’s. The folks at Foolish Waffles are geniuses. Everyone loves waffles, especially toppings on waffles. 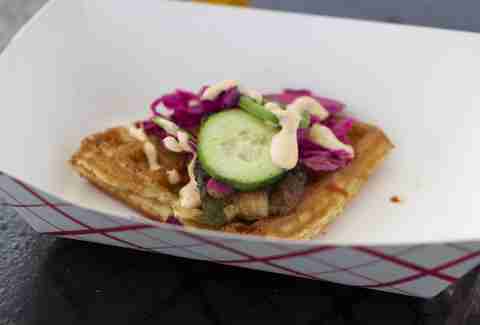 That's why you have to try the Pork Belly Bahn Mi Waffle with coriander black pepper-glazed pork belly (or tofu for the non-meat eaters), pickled cabbage, jalapeños, cucumbers and a togarashi/sriracha sauce. All the toppings are served on top of a fresh-made Belgian waffle. Actually, just stop reading and track it down -- there’s a reason it was voted the best food truck in the city at this year’s Vendys. 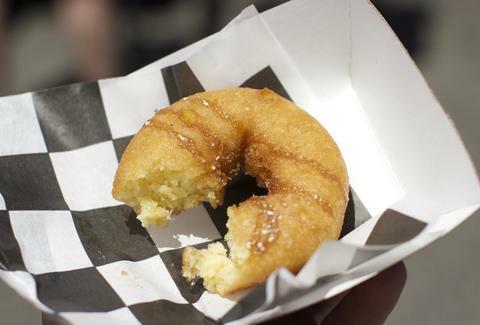 Fresh off its 2015 Vendy Award for the best dessert, Undrgrnd Donuts has become a serious player for the best donuts in the city (although Fed Donuts might beg to differ). 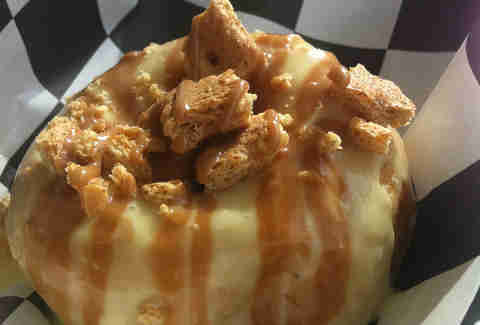 You can find ‘it parked in Love Park most mornings and can’t go wrong with one of its funky choices like the French Toast donut or the bacon-topped Homer (one of the top bacon dishes in Philly). Despite being a newcomer on the food truck scene, SeoulFull is already one of the city's best (with a brand-new Vendy Award for best newcomer on its resume). At the SeoulFull truck, expect to find Korean-American mashups like Korean bulgogi cheesesteak (it’s Philly after all), Korean Tacos, and Seoul Tots, tater tots topped with kimchi, whiz, green onions, and a choice of protein. Another genius idea. Mac and cheese is great on its own. Adding toppings to mac and cheese. Next level. 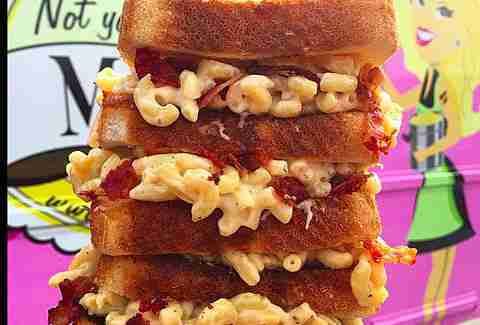 The Mac Mart truck takes this concept to the extreme, with a rotating cast of mac & cheese bowls and mac-based sandwiches (you read that right). With two trucks now patrolling the city, the Vernalicious mini-empire focuses on everyday comfort food made with locally sourced ingredients. 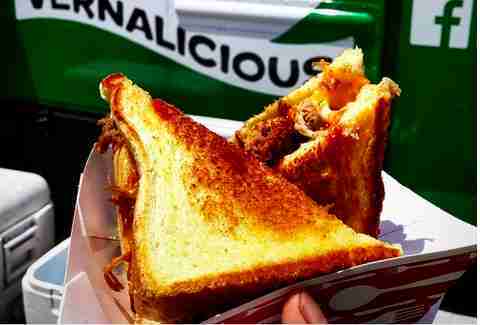 Case in point, its Pulled Pork Grilled Cheese, with generous portions of pork and melty cheese sandwiched between two pieces of Texas toast. While the truck does see a lot of catering/private business, you can still check out Twitter to find days when Vernalicious is available to the common folk. 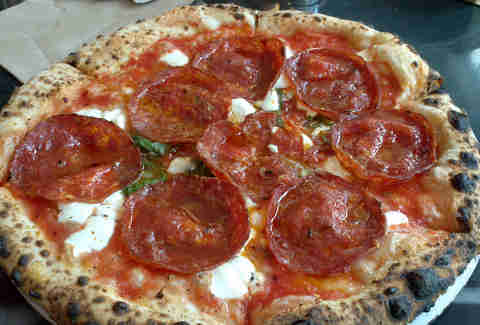 Somehow, the folks at Pirtcuo Pizza found a way to fit a legit, brick pizza oven in a food truck. How this is possible? We’re still unsure. But what is definitive, is that you can get some of the better pizza in the city, baked fresh, streetside, anywhere that the Pitruco truck is parked. While you can’t go wrong with any of the choices on the menu, our favorite is the Soppressata, topped with pancetta, onion, spicy soppressata, mozzarella, and pecorino romano cheese. Given all the love for the Crabfries at Chickie's and Pete’s -- which might rank as one of the more overrated city favorites -- newcomer Philly Fry might be onto something with its gourmet fry combos. 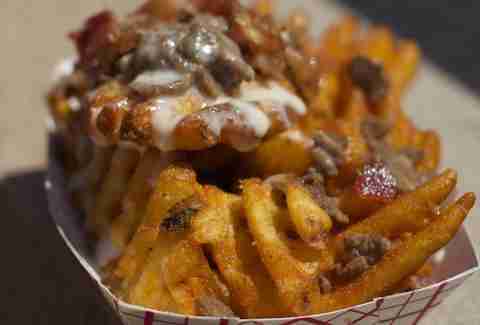 Options at Philly Fry include BBQ Fries, Surf N' Turf Fries (with steak and crab), and Steak N' Bake Fries, topped with steak, bacon, and melted American cheese. Unless you grew up in the Midwest (or Canada), cheese curds probably aren’t high on your list of comfort foods. 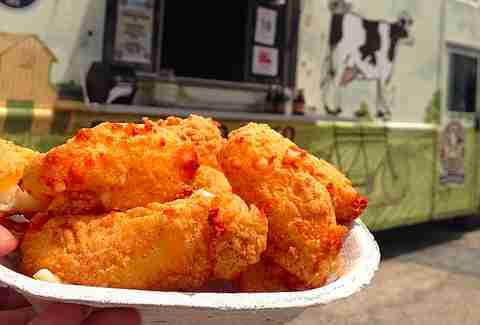 The folks at Cow and Curd, however, are trying to change that by introducing Philly to the wonder that are fried cheese curds. Think mozzarella sticks, only a million times better. Granted, these bites can be a little on the pricey side for what you get, then again, fried cheese is probably best in small doses.